This month we’d like to congratulate our friends and colleagues at the Royal Portfolio for a real shining star in a world-class collection of properties. Presenting our Property of the Month – the Royal Portfolio’s, Royal Malewane. This video says it all – but just in case you need more reason to visit this sensational property… read on for more. 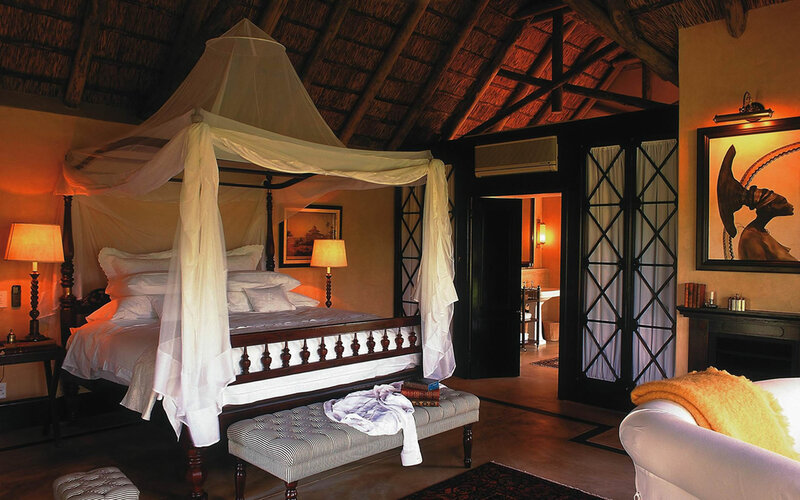 On a private game reserve bordering the Kruger National Park lies the conquering queen of African luxury experiences. This Royal majesty is set against the silhouetted back drop of the towering Drakensberg Mountains. Yet despite this awe inspiring setting it is the Royal Malewane’s lavish attention to detail in every aspect which belies belief and which has earned this regal property its plethora of “World’s Best” awards over the past decade. The Royal Malewane reserve is set in the Mpumulanga lowveld and is well-known for its consistently incredible game viewing. 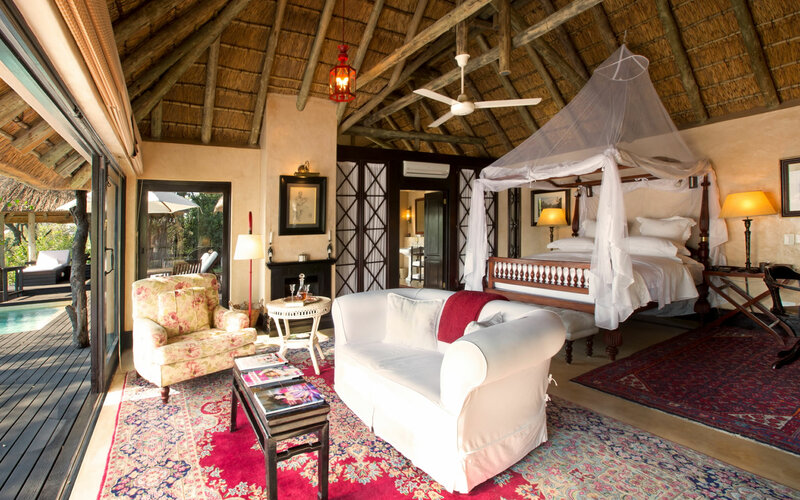 Royal Malewane is the undoubted icon of extravagant safari destinations and offers its guests every modern-day comfort and convenience while at the same time embracing the wild heart of Africa. Royal Malewane prides itself in sharing an exclusive safari experience beyond compare with its heightened attentiveness to ultimate privacy, personalised hospitality and incredible wildlife sightings. 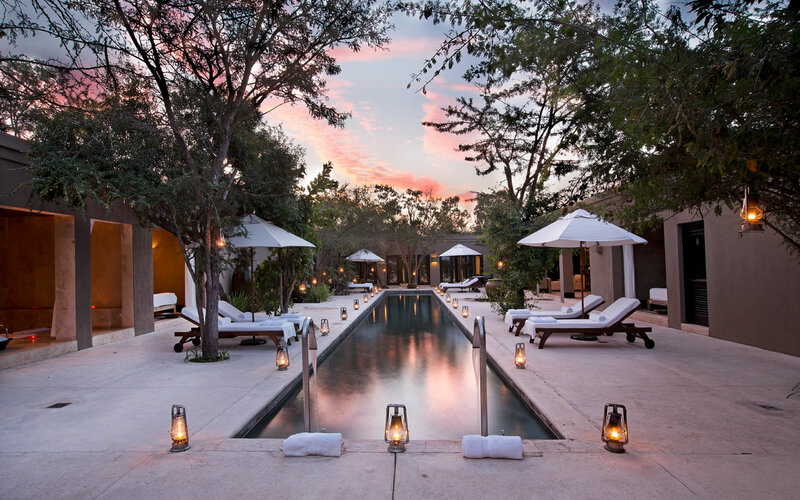 The inclusion of the Royal Malewane Bush Spa, world-renowned for its striking setting and oasis of treatments, crowns the safari and all round experience with sheer indulgent pleasure. Royal Malewane hosts a maximum of 20 guests insuring a continuously intimate experience. There is an option of either one of six luxury suites for couples, or for even more privacy and seclusion, one of two four-sleeper Royal Suites. The air-conditioned luxury suites are an opulent hideaway from the heat of the bushveld yet display unparalleled views of wild spaces beyond. Each suite is generously spacious with a private outside wooden deck and rim-flow pool. If you are in luck, a small herd of elephant might drink even from the pool waters as you take an afternoon plunge. Classic mahogany furnishings compliment the refined extravaganza of Persian carpets and canopied king-size bed while indoor and outdoor showers leave you rejuvenated and refreshed. The Royal suites exemplify the definition of style and splendour. An enormous outside deck and sparkling pool give even four guests the freedom to cherish their solitude, and the inside living areas tell stories of colonial times gone by through treasured antiques and over-sized chandeliers. 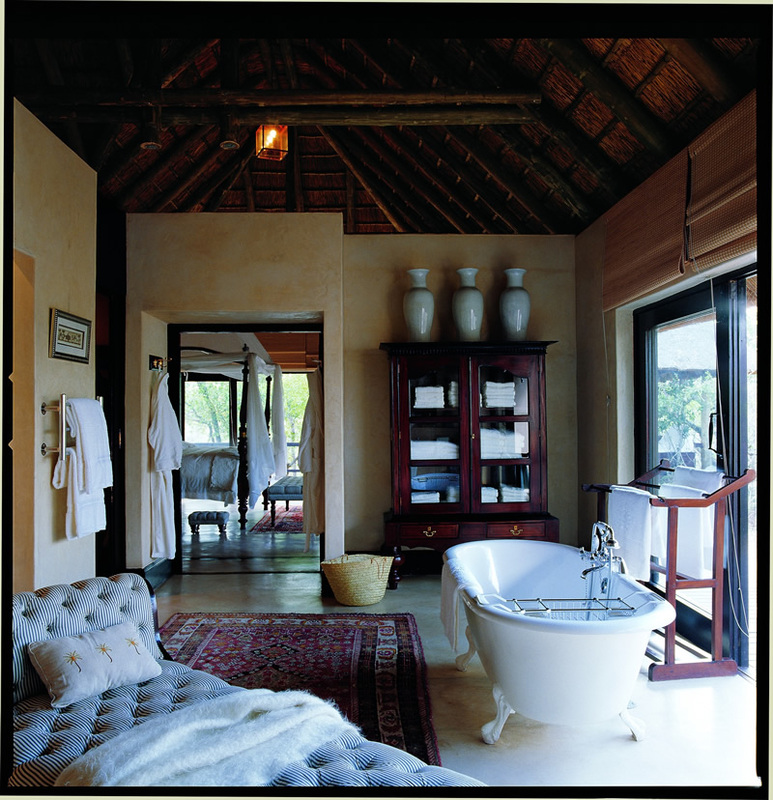 Both the Luxury suites and the Royal suites speak to guests seeking a high-end luxury retreat. Royal Malewane holds the secret ingredients for enchanting all your senses. The spectacular close encounters with unbelievable wildlife on dawn and dusk game drives create unforgettable memories and countless photographs to look back on. Lion, leopard, elephant, buffalo and rhino, to name but a few, are enthusiastically pursued by the passionate guide and tracker team. What’s more if viewing the highly endangered Black Rhino is on your wish list then there is no better place than Royal Malewane to get a glimpse of this exceptionally rare animal. The dining experience at Royal Malewane is a signatory feature. Let your imagination run wild while savouring delectable dishes under the stars in the boma or by candle-light in the Bedouin tent. Service is of a premium standard and you are lovingly serenaded whether it is by the night’s natural chorus or the hum of traditional song and dance. Inhale the gentle tannins and rich forest-floor aromas wafting out of a goblet of Merlot or take a relaxing amble along the elevated walkways in search of a commonly-found Mopane Tree. The kidney-shaped pods release a fragrance of rich raw honey and the butterly leaves make for unusual bookmarks. Royal Malewane offers an exciting assortment of additional luxurious activities from helicopter flights and hot air balloon rides to a round of golf on the exclusive Leopard Creek Championship Golf Estate. But for those in need of relaxation and tranquillity, Royal Malewane’s Bush Spa is dedicated to timeless languor.